Sun Prairie, Wisconsin, is one of the most beautiful places in the country to live. Unfortunately, while we have great weather most of the year, we must deal with “Old Man Winter.” The average snowfall in the area is over 50 inches per year. To deal with so much snow and ice, you must be prepared. The snow has already started to fall in the area, and it will be all too soon that they measure in feet and not inches. Every year, more than 50 people in this state lose their life in a snow or ice storm. Also, more than 4,900 people suffer with injuries. To make sure that your family is out of harm’s way, there are a few things you need to know. Think of a winter storm like a recipe, you must have three basic ingredients for its correct formation. First, you need to have cold air. The temperature must be below 32 degrees for snow or ice to form. Now, the temperature can be at freezing either on the ground or in the clouds. If the temperature is warmer at the ground than in the clouds, then the snow will melt when it hits the ground. Second, you need to have moisture. Because of our location in Wisconsin, we are around large bodies of water. The water evaporating from these lakes cause “lake effect snow.” Therefore, this area sees so much precipitation in a year’s time than most. Lastly, there must be a lift. A lift is essential in the formation of clouds and precipitation. For instance, a lift is warm air that collides with cold air and the struggle causes the air mass to rise. Think of air flowing up a mountainside. Warm air comes up from the Gulf of Mexico and hits cold Canadian air forming the perfect storm. However, storms can come in from any side of the country and any body of water. It sounds complex, but it is really simple. All winter storms can be treacherous as they affect the roadways. A blizzard is the most dangerous type of winter storm. During these tempests, the snow blows and drifts making plowing and cleaning roads next to impossible. The wind from a blizzard causes power outages and down power lines. Trees can fall across roadways making getting to people in trouble difficult. Ice storms are another dangerous system. The National Weather Service will issue a blizzard warning when wind gusts are more than 35 miles per hour. While 4×4 vehicles will drive well in the snow, nothing moves on the ice. Ice accumulates on power lines, rooftops, and other structures causing massive destruction. The weight of the ice cannot be sustained by these objects, and they break under the pressure. A significant winter storm is when a front drops more than 6 inches in a 12-hour period, or 8 within a 24-hour period. These storms can have a mixture of snow, sleet, and freezing rain. They may also have gusty winds that are not strong enough to be categorized as a blizzard. The NWS will issue an Ice Storm Warning if they expect the area to get more than ¼ inch of ice in a 12-hour period. Any of these storms become a danger of frostbite, hypothermia, and overexertion. Add a wind chill warning to the mix and it becomes a dangerous situation for anyone to be outside. It’s also a good idea to keep these items in the back seat and not the trunk. During extreme weather, the trunk may not open. When driving, you should stay at least 200 feet away from snow plows. These trucks are working overtime to clear the roadways. Make sure to stay out of their way and allow them to do their job. If your car should slide off the road in a storm, stay inside the car until help arrives. Other cars can slide in the same area, and if you are outside of the vehicle, it can cost your life. You are required to keep the sidewalks in front of your home cleared. After the snow has stopped, you have until noon that day to remove any ice or snow. Salt works great when the temperatures are above 20 degrees. If you are unable to shovel your sidewalks or driveway, it is best to call in a professional service. 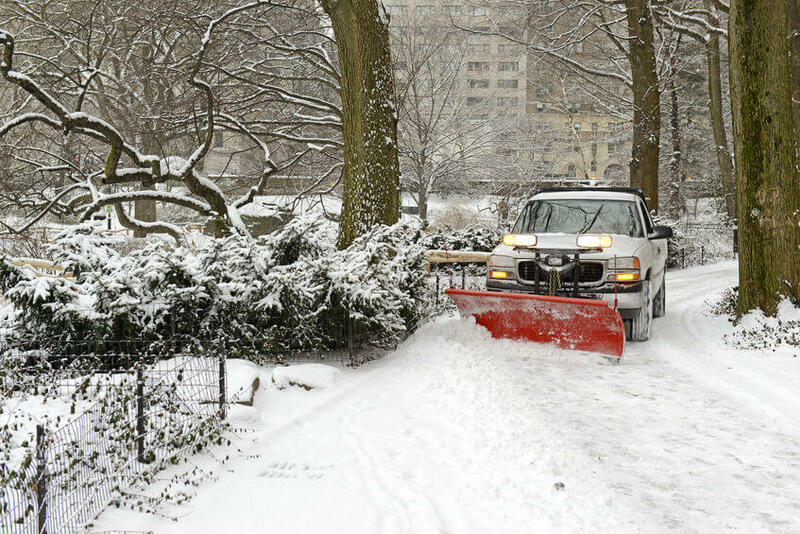 There are numerous professionals who handle snow removal in the area. If you don’t remove the snow and ice, the city will send someone out to do it, and they will send you the bill. If the ice accumulation cannot be removed, then it should be treated with sand or kitty litter for traction. There are many places that offer free sand to use during the winter. The city and state will take care of both the freeways and residential roadways. They treat main roads first and secondary roads last. Their main objective is to get the roadways clear so that people can go to work safely. In some cases, it may take days to get to rural roads. It all depends on the amount of snow received. The Streets Division has 32 crews that maintain the roads, putting salt down to prevent slippery roads. When all residential streets must be plowed, the city will issue a snow emergency. Living in Wisconsin in the winter takes some getting used to. However, it’s a wonderful place to call home, especially if you like snow.